If you’ve been holding off on buying a home, now may be the right time to take the plunge. Otherwise, you risk paying far more for the same house in the future, according to The Wall Street Journal. 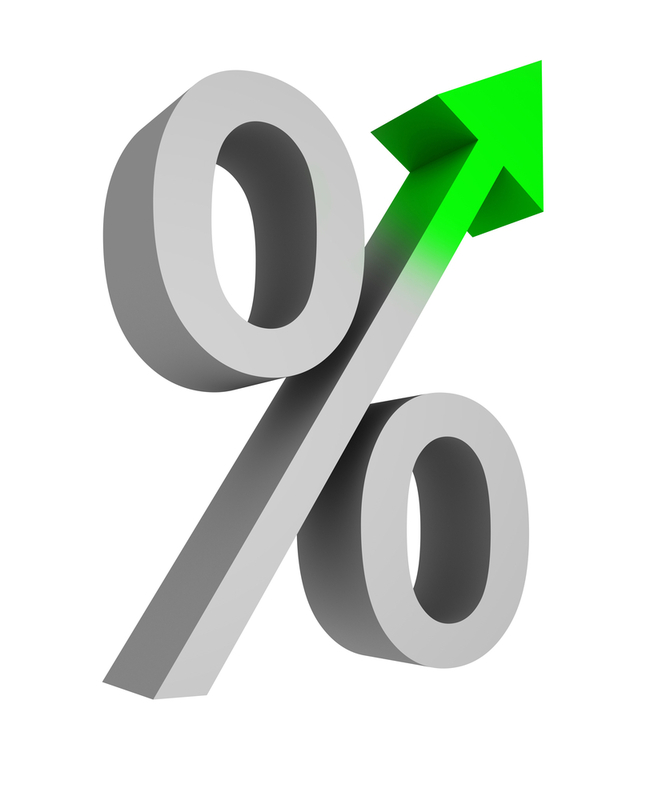 Since May, industry experts and market watchers have noticed a continuous upward trend for interest rates on mortgages. Each month, rates have steadily been rising. While interest rates have been rising at a slow, steady rate, the increases add up over time. For example, average rates in May were 3.59% on 30-year fixed-rate mortgages. By the end of August, average rates had climbed to 4.73% according to Forbes. That may not look like much of a difference on paper, but in practice, that translates to a 15% increase in monthly payments for homeowners. If rates continue to climb at this rate, next year’s homebuyers could pay 30% more every month on their mortgages than those who took out their mortgages earlier this year while rates were low. In order to secure the best deal possible on your mortgage, it’s wise to start shopping for a home – and a lender – sooner rather than later. The rising mortgage interest rates that we’re seeing now can be the future trend. However, it’s important that you don’t become discouraged as you see mortgage rates rise. Forbes reports that buying a home is still 35% cheaper than renting in all 100 of the major metropolitan areas across the country – despite the increase in interest. While waiting to buy could cost you more on your monthly payments, you’ll still be paying less than you would in rent – and investing in a property you’ll own forever, something renting doesn’t offer. And remember, if you’re a first-time buyer or meet other qualifications, you can always finance your home with a mortgage backed by the Federal Housing Administration, or FHA. When market watchers report on increasing interest rates, this applies primarily to mortgages given out by private lenders. Of course, homebuying can be a daunting process. You may worry about securing a down payment, getting your credit into shape, finding a home that fits your budget, and deciphering real estate lingo overwhelming. Fortunately, we’re here to help! We offer a wide variety of resources to make homebuying a breeze for our customers, including credit counseling, no money down financing for qualified buyers, a wide variety of floorplans to choose from in four states, and a comprehensive guide for first-time homebuyers. Whether we are going through good times or bad, it is often those closest to us—friends, family, co-workers, and caring acquaintances—that prove to be one of the most beneficial and valuable assets in our lives. And when it comes to our homes, nothing is more symbolic of our connection to the people we care about than opening our home to them for celebrations—large or small—of the relationships, experiences, humor, camaraderie and friendliness we share. What better way, then, to make the most of the best in life, than to move into a brand-new home that gives you the space and the facility to host those you love best, as often as you wish? LGI Homes' new houses are located at the center of your social connections, as a warm and welcoming place where everyone can gather! As it is, you may already have room in your apartment, condominium, townhouse or home for visitors, but for many the life of the renter has restricted their ability to play host to their friends, family, acquaintances, and groups to which they may belong. Notoriously short on space, many apartments lack the room for dining room tables, or have older-style floorplans that divvy up the living space into smaller rooms, which are inadequate and outdated when compared the large spaces found in today’s homes. Built for relaxation, socializing and dining, areas like the great room (such as those found in many of LGI Homes’ flexible and functional floorplans) are at the heart of the modern home, and provide just the sort of space that is intimate enough for family evenings, yet capacious enough to allow gatherings of any number, whenever you’re tapped to play host for an afternoon, an evening, or a weekend. Another aspect of apartment life is the frequent lack of kitchen space, with key shortages of counter space and cabinetry in a tight room that has neither charm nor room for guests and family to linger as you prepare a meal. Compare this to the modern, sleek kitchens found in LGI Homes’ brand-new houses, which include quality appliances, custom cabinetry, and rounded corners—as well as ample space—to make the kitchen a true extension of your living space, instead of a cramped space for drudgery tucked behind a wall and set apart from your living area. Finally, there are the bedrooms. While many apartments built in the latter part of the last century have a semblence of a master suite, many still force their residents to suffice with small rooms, small bathrooms, and even smaller closets. Modern homeowners demand better, and LGI Homes has responded with master suites that include things like separate showers and soaker tubs, expansive walk-in closets, and large master bedrooms, often with their own access to outdoor spaces. The privacy, comfort and ease you feel in a modern master bedroom also enhances the experience for other guests and residents in the home, who will enjoy their own spacious rooms. Guests are always welcome, and residents always enjoy their own sense of space. What could make a weekend get-together or the arrival of out of town guests any better? As you can see, making the move to a home can make a huge difference when it comes to your closest and most dear relationships, by giving you the generosity of space and benefit of functionality that comes with a modern, spacious and thoughtful floorplan. Once you move into an LGI Homes house, gone are the days of squeezing guests into tiny dining rooms or setting them upon fold-out couches for the night. With the luxurious yet affordable benefits of an LGI Homes house, you’ll soon find that your beautiful new home sits at the center of your social connections, as a warm and welcoming place where everyone can gather! Every new year presents us with the same opportunity to redefine our lives in a positive direction. Whether we aim to be kinder throughout the year, to be more organized, or even to shed a pound or two, the new year and the resolutions that it births are our chance to become better people, living happier lives. Of course, housing isn’t always tops on a new year’s resolution list, but at LGI Homes we believe strongly that where we live—and how we feel about where we live—affects who we are, how we live, and our ability to become the people we want to be. 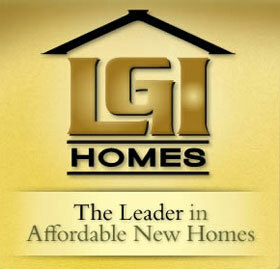 LGI Homes - beautiful, quality-built, and equally as important... affordable! Think of it this way: you begin and end each day in your home. “Coming home” is a transition not only functional in its reality (we do it each day), but also symbolic in its meaning. To come home is to be where you are comfortable, happy, fulfilled and joyous. To come home is to be where you are most yourself, living easily with who you are, and free to pursue whatever adventures and challenges your future may bring. Can we truly be at home in a rented apartment or house? That is owned by someone else? In which we have no stake but the fact that our mail arrives there each day? In a rental we surround ourselves with temporary walls, which we may leave at any time. There is nothing there to cultivate a feeling of connection, to give us the freedom to relax and live that is part of the experience of owning our own home. It is precisely this experience, this freedom to pursue our happiness, that has made owning a home part of the American Dream, fundamental to a country built upon the freedom of every man, woman and child to become the best person they can be. So this new year, as you plan a new diet, buy new organizers for your closet, or vow to write letters to your Great Aunt Tilly, consider this: low interest rates, high affordability and scores of pristine communities full of brand-new homes are creating ideal conditions for homeownership in 2012. LGI Homes’ new home developments throughout Texas and Arizona are bringing thousands of people home in the new year, introducing them to the unique joys and fulfilling sense of connection and community that make homeownership a sought after goal for nearly every American. And with the costs of owning a home nearly equivalent (and sometimes cheaper) than that of renting, owners in LGI Homes’ beautiful, quality and affordable communities are starting off the new year confident in their direction, ready to embrace the live that plays out both within and without the walls of a home that they call, wholly and truthfully, their very own. Whether the holiday season means snow out-of-doors or donning a pair of mistletoe-inspired flip-flops, the comfort and warmth we feel in our homes is part of what we celebrate this time of year. Having a safe and secure home in which to enjoy the company of our friends and family touches at the heart of what home means to us all, and illuminates our celebrations whether cultural, traditional, religious or personal. Indeed the concept of home is at the heart of all of our families, and therefore at the heart of all of our festivities. And no one understands more clearly this true concept of home than LGI Homes, working, as we do, year-round to bring the settled pleasure of homeownership into reality for thousands of people. Concept of home is at the heart of all of our families, and therefore at the heart of all of our festivities. After all, when surrounded by the people who mean the most to us, the place in which we gather is perhaps not as important as that we gather together at all. But the joy of having others in our home, sharing our food, company, conversation and time, brings a special sort of meaning to the holidays. LGI Homes homeowners, whether just receiving the keys to their brand-new homes or marking off the years since moving in, are all acquainted with the particular gratification that comes with having ample space to host their loved ones at this time of year. From large kitchens appointed with brand-new appliances and customized cabinets, to the dedicated dining rooms available in many plans, holidays are enhanced by the guest-friendly flow and functional floorplans of each LGI Homes house. This is because each house is built expressly to be your family’s true home. Then, after the merriment has died down and the last vestiges of holiday cheer are packed away for next year, LGI Homes homeowners also come to appreciate the restful nights that follow. Living as they do in homes built with integrity, quality and affordability in mind, they enjoy the many benefits and pleasures of homeownership, without laying awake at night worried for the state of their home’s structure, or the size of their bank account. 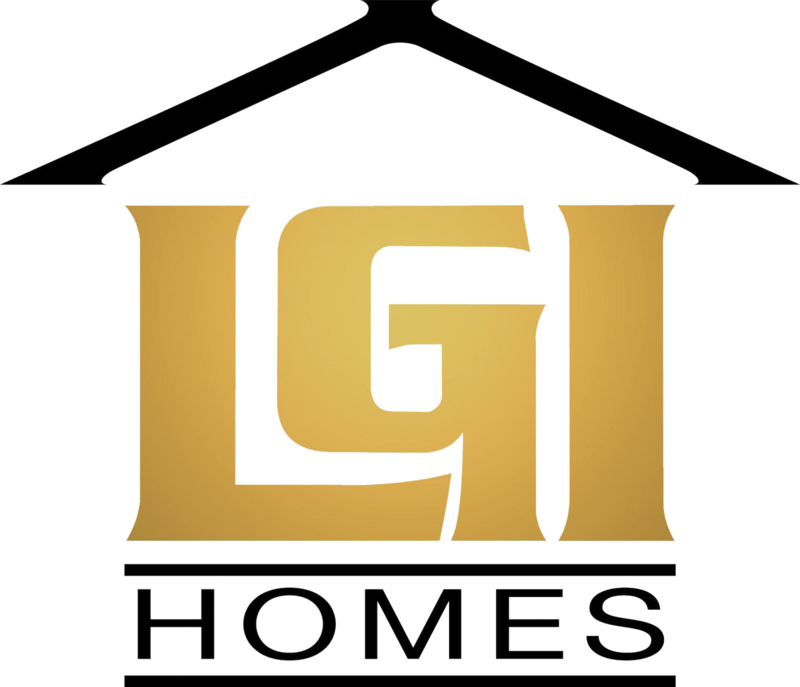 With affordable monthly payments that are often less than rent, their financial lives are in order and on track; and with LGI Homes’ generous structural warranties, they rest soundly knowing that should any problems with their home arise, LGI Homes will be there to resolve the problem. When it comes down to it, a home is simply a house, imbued with love and light, in which your days ought to be merry and your nights ought to offer a sleep that is sound, safe, and unfettered by worry. Why not come by this holiday season and discover what thousands of LGI Homes homeowners already know? That happiness in a house is only possible if it enables you to live the life you long to live, without fear, worry, stress or complaint. Merry days, and quiet restful nights, all in the secure warmth of your very own home—that’s what the dream of homeownership is really all about. Prospective new home buyers may not want to wait on that LGI Homes house—Congress is now considering a bill that will raise the minimum down payments required to buy a home, and lower the amount of money that can be backed by Federal Housing Administration (FHA) loans. The proposed changes remove some of the government’s real estate market supports put in place during the recent economic upheaval, which were designed to keep the housing market afloat through crisis times. This withdrawal of government support, however, is facing opposition from real estate agents, new home builders, and mortgage bankers. The FHA doesn’t make loans but insures them against default. According to trade publication Inside Mortgage Finance, loans backed by the FHA made up nearly 18 percent of new loans made in the first quarter of 2011. 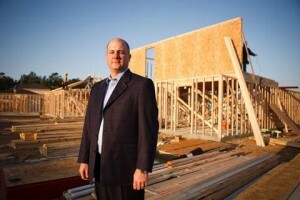 Jay Brown, president of Greater Fort Worth Home Builders’ Association, recently addressed the pros and cons of purchasing new homes, as opposed to opting for a resale. In addition to the obvious advantages of new homes’ energy-efficiency, contemporary floor plans and master suites, and the ability to select appliances and flooring, there are other, less obvious reasons to go with a new home builder. A typical urban or suburban neighborhood can be comprised of an eclectic group of residents. New neighborhoods, such as those offered by LGI Homes, are often family-focused environments, filled with friendly neighbors—many of whom likely share common interests. The recent housing slump has prompted many lawmakers to call for a restructuring of the housing market, which could make it harder for Americans to qualify and pay for home mortgages. The latest suggestion that appears to be gaining bipartisan support in Congress would require a minimum 10-20 percent down payment for most home loans, with both critics and supporters of the measure saying that it would represent a major change to “business as usual” in the housing industry. Other economists and housing advocates oppose down payment rules because they believe it unfairly and negatively affects minorities and others with economic disadvantages. Mike Calhoun, the president of the nonprofit Center for Responsible Lending, calculates it would take an average person seven years to save up for a 10 percent down payment. Plus, he says, the real issue is not the down payment. Calhoun asserts the housing bubble and subsequent foreclosure mess happened primarily because lenders gave out no-document loans, in which they failed to verify if a homebuyer made enough money to pay back the loan. “The taxpayers got stuck with a big bailout, and so people sort of want to throw the baby out with the bath water and say, Let’s never do anything like that again,” he told NPR. The other major change being discussed is the demise of the traditional 30 year loan. Instead, some interested parties are suggesting that banks and borrowers should opt for shorter-term loans, such as 15 or 20-year fixed-rate loans—a practice much more in keeping with the rest of the world. While acknowledging such loans would require a higher monthly payment, Pinto suggests it could actually end up benefiting homeowners, because they amortize much faster than 30 year loans, meaning borrowers would gain equity much more quickly because they would begin reducing their principle balance much sooner into repayment. 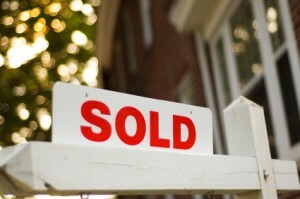 So what does all this mean for those interested in purchasing a home right now? 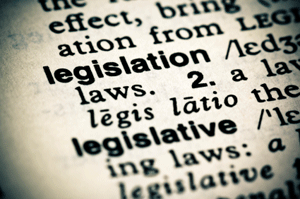 The bottom line: if you have been thinking of buying a home and don’t have the money for a large cash down payment, you may want to make your move before legislation changes the rules of the game. This may be the perfect time to check out properties offered in LGI Homes’ communities, where monthly payments start under $700, and no downpayment is required. Eric Lipar has LGI Homes on a fast track for growth because the CEO wants to take the company public within the next five years. LGI Homes recently acquired 313 home lots in the Houston area, has another 200 lots under contract and is opening an office in Phoenix — the first time it has expanded outside Texas. On top of that, the Conroe-based homebuilder broke a company record in October by closing on the sale of 57 new starter homes in one month. That breaks the previous LGI Homes record, set in February 2008, of 56 closings. The company ranked No. 12 on the Houston Business Journal list of Largest Houston-Area Homebuilders with 2009 local gross revenue of $28.5 million. Lipar is lining up multiple capital sources and buying land and home lots to fuel strategic plans at the company, which he owns with his father, Tom Lipar. The CEO says a family-owned business only has two exit strategies — sell or go public. LGI Homes chose the stock option. The homebuilder is opening a Phoenix office because the company needs to have operations in at least two markets besides Texas to go public, Lipar says. 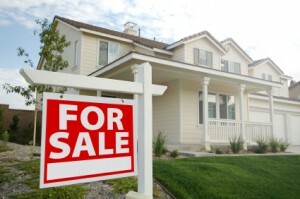 LGI Homes intends to expand into Atlanta or one of the Florida markets in 2012 to meet that requirement. Tony Avila, with San Francisco-based Avila Advisors, is guiding LGI Homes on future growth plans. Avila also paired LGI Homes with New York-based GoldenTree InSite Partners earlier this year to create a $50 million joint venture to buy discounted home lots (see “LGI Homes, GoldenTree InSite targets dirt-cheap lots,” April 2, 2010, at bizjournals.com/houston). GoldenTree InSite, which goes by GTIS, was one impetus behind expanding in Phoenix. Lipar says both joint venture partners believe Phoenix is a great long-term market because it has a large inventory of finished home lots available at a discount. So we’ve seen which builders leave customers most satisfied, but what about quality rankings? This list looks at the number of construction problems in a new home, focusing on 41 categories like the bathroom, kitchen and home exterior. Just so you know, JD Powers tells us the problems reported most often in Houston include electrical, heating and air conditioning issues. The builder with the least number of reported issues is LGI Homes of Conroe. In partnership with private equity, the builder buys more land in San Antonio. The private builder, private equity partnership between LGI Homes and GTIS Partners has bought more land to help fuel LGI’s fast-selling growth in the San Antonio market. The partners bought Luckey Ranch, a 93-acre parcel with 393 single-family home lots, across the street from LGI’s best-selling Canyon Crossing community, which is nearing build-out. “You could argue that it’s an extension of its existing community there,” said Rob Vahradian, senior managing director for GTIS. He added that LGI has been selling between 10 and 15 homes a month in Canyon Crossing. “And in their home market of Houston, [LGI is] doing double the absorptions of any other home builders,” Vahradian said. LGI is also doing well in the Dallas-Ft. Worth market, where GTIS (formerly known as Goldentree Insite Partners) made its first investment in the company when it bought Chisholm Springs. “[Chisholm's] pretty much hitting our pro forma numbers,” said Vahradian, adding LGI has sold and contracted to build close to 40 houses there since sales began at the end of May. Vahradian said GTIS continues to be impressed with LGI’s business model of marketing to apartment dwellers who don’t have a house to sell and who can buy a home with a yard for what they are paying in rent. 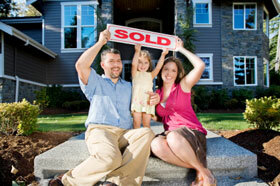 LGI uses conventional FHA, VA, and USDA financing to finance its houses for buyers with credit scores of 680 or more. GTIS is making other land-buying deals as well, not all with home builders.